Is your dream to travel the world? Then this world traveler tshirt is for you! Show the world you're on a mission to adventure across the globe with this world map shirt today. 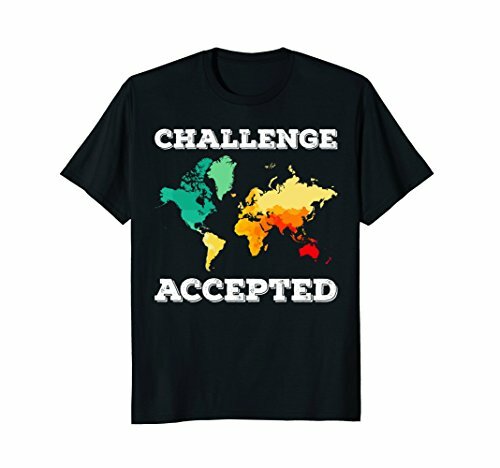 This challenge accepted map tee makes the perfect gift for your travel buddy, adventure buddy, or travel companion. If you have any questions about this product by Travel the World Traveler Gifts & Map Tshirts, contact us by completing and submitting the form below. If you are looking for a specif part number, please include it with your message.